• Lazer Lloyd: FREE Entry and CD Discount for TBS Charter Members! • TURF Ticket Giveaway and TBS Discount! • 18th Annual Maple Blues Awards Tix On Sale Now! Where It’s At! (WIA) is a free weekly e-news broadcast that brings blues fans recent news from the Toronto Blues Society and community. The Toronto Blues Society continues its monthly blues series showcasing the best in blues talent. 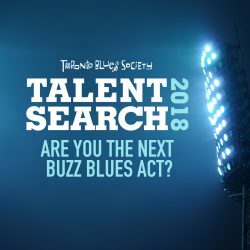 Hosted by Dominion On Queen (500 Queen Street East), performances are FREE to the public and feature a wide spectrum of talented blues artists. Tomorrow’s will be held in the Back Room. * Please enter via the side door (off Sumach St). Harrison Kennedy (pictured) takes the stage Thursday, June 19 at 8:30pm! * Check out our event page on Facebook and let us know you’re coming! *Please note time change and room change for this event! Lazer Lloyd: FREE Entry and CD Discount for TBS Charter Members! Lazer Lloyd (pictured) will be performing in Toronto on June 19at the Cadillac Lounge, 8pm, and TBS Charter Members can enjoy the show for FREE! Just show your active TBS Charter, Benefactor, Family, or Student Membership Card at the door to receive FREE entry for you and a guest! TBS Members will also receive 25% off all Lazer Lloyd CD purchases! Join award winning indie/roots and blues innovators, Digging Roots, for the release of their new CD, “For The Light,” onTuesday, June 24 at The Gladstone Hotel. Featuring 12 original tracks that reflect a maturing sense of storytelling, husband and wife team Raven Kanatakta and ShoShona Kish trade lead vocals, fluidly complimenting each others strengths. Thank you to everyone who applied! Every application we received this year was of excellent quality and we encourage those who were not selected this year to reapply next year! TURF Ticket Giveaway and TBS Discount! The Toronto Urban Roots Festival (TURF) launches July 4-6 at the Fort York Garrison Commons (100 Garrison Rd) and Toronto Blues Society & Collective Concerts are giving away two sets of tickets to the TURF Kick-Off with Black Joe Lewis on July 3, as well as two TURF Friday Passes to see Gary Clark Jr (pictured), Black Joe Lewis, The Weeks and many more! TBS Charter Members can also take advantage of exclusive discounted TURF tickets and all-day passes! To access the TBS TURF discount, email the TBS office or call us at 416-538-3885 to retrieve the promo code. To enter, email the TBS at info@torontobluessociety.com with “TURF!” in the subject line. Please include your contact information. Winners will be announced in next week’s Where It’s At! 18th Annual Maple Blues Awards Tix On Sale Now! 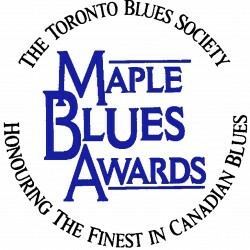 Tickets for the 18th Annual Maple Blues Awards, which will be held January 19, 2015, are now being sold through the Koerner Hall Box Office. TBS Charter members can purchase the best available tickets for only $28! To take advantage of this discount, please contact the TBS Office at 416-538-3885 or info@torontobluessociety.com to retrieve the special discount code. The Toronto Blues Society is a member based not-for-profit charity. The purchase of every membership helps us fund our events throughout the community, but the rewards of membership will also be felt by your wallet! Check out our benefits list below to see the incredible savings a TBS membership gets you! Become a TBS Member Today! Have the Maple Blues Magazine delivered right to your door each month and take advantage of all the benefits membership has to offer. 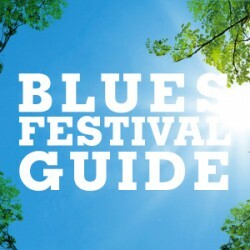 Meet like-minded blues lovers and help keep the blues alive in Toronto.